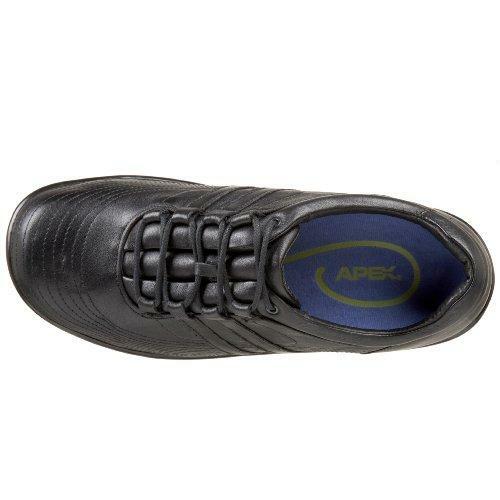 The Apex Ambulator Striped for Women. 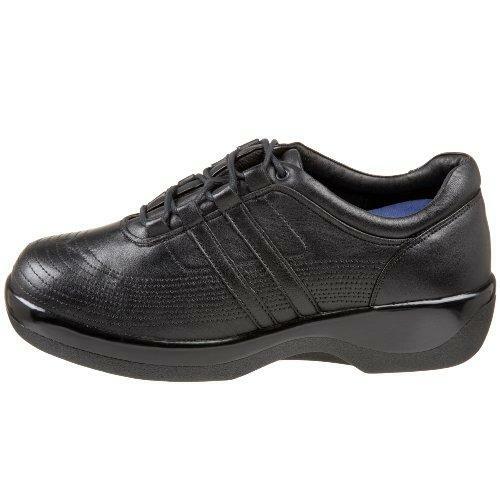 The Black Women's Ambulator B7000w provides comfort and protection for trouble feet with a unique striped design. 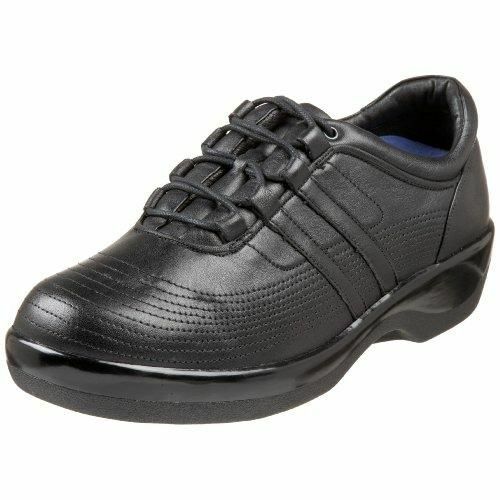 Ambulator women's biomechanical and conform footwear provide extraordinary cushioning and support. 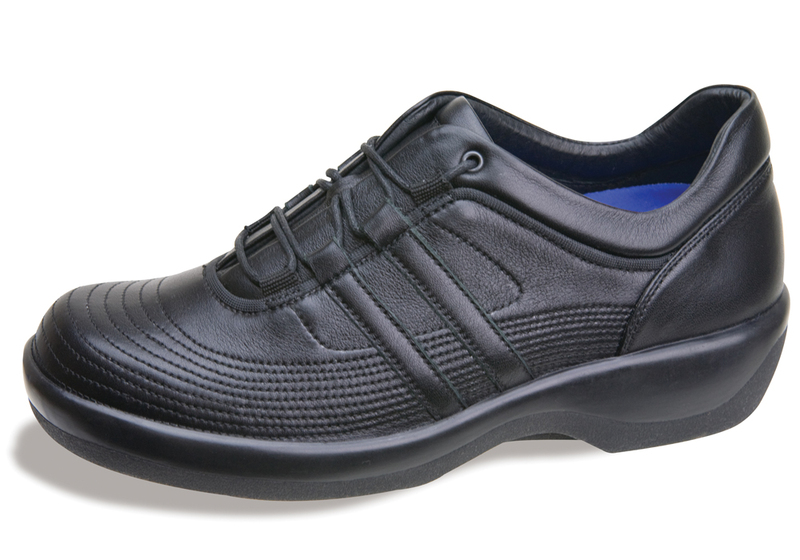 The "Apex Amubulator Striped" shoes are great for people with diabetes, foot arthritis or other foot problems such as bunions or hammertoes. 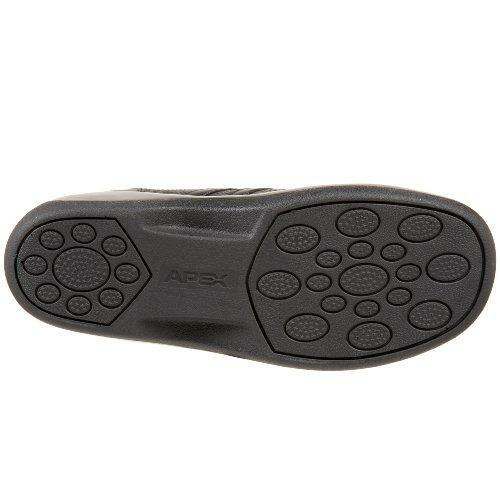 Brought to you by Aetrex Shoes. The Apex Ambulator Striped for Women. 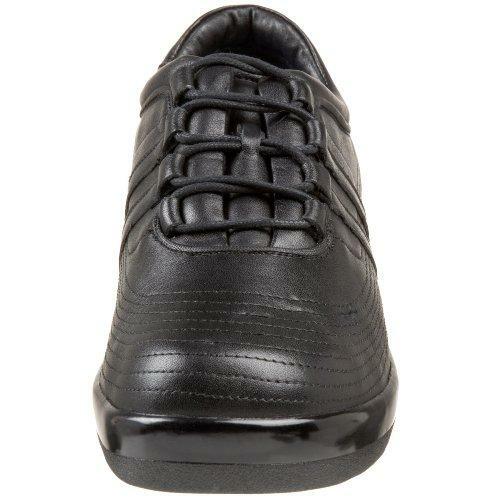 The Black Women's Ambulator B7000 provides comfort and protection for trouble feet with a unique striped design. 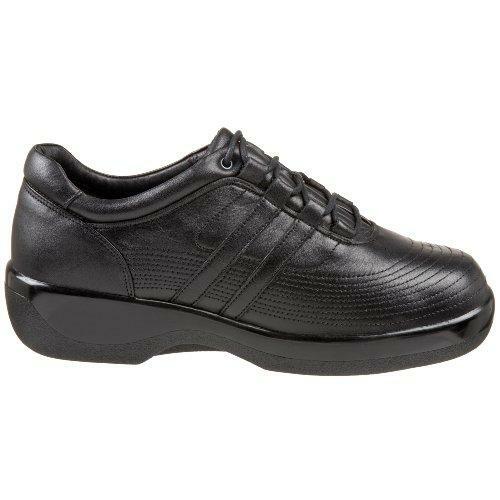 Ambulator women's biomechanical and conform footwear provide extraordinary cushioning and support. 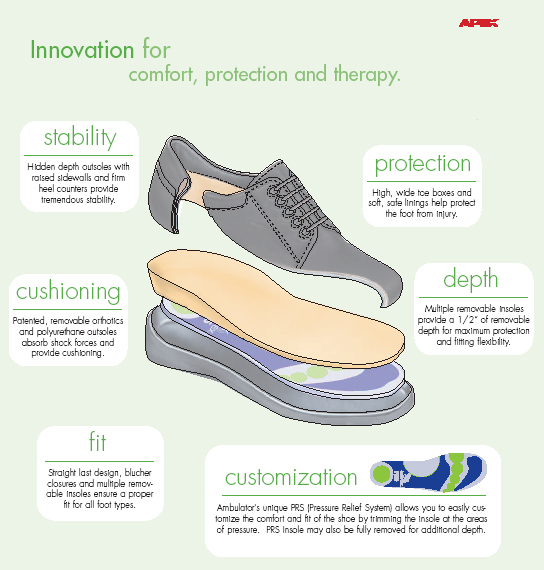 Multiple removable insoles provide a 1/2" of removable depth for maximum protection and custom insoles fitting flexibility. Cushioning using included patented, removable orthotics and polyurethane outsoles absorb shock forces and provide cushioning. You sent the wrong shoes and I am still waiting for the correct shoes. I sent back the wrong ones. What is up? Don't I get my shoes in a timely manner??????? Disadvantages: I still have no shoes!!!!! 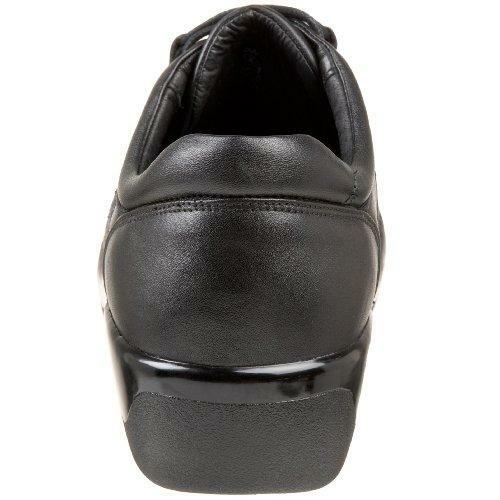 Best shoes ever for work. My orthotic devices fit perfectly.